Wondering what to do with your dad this Father’s Day? 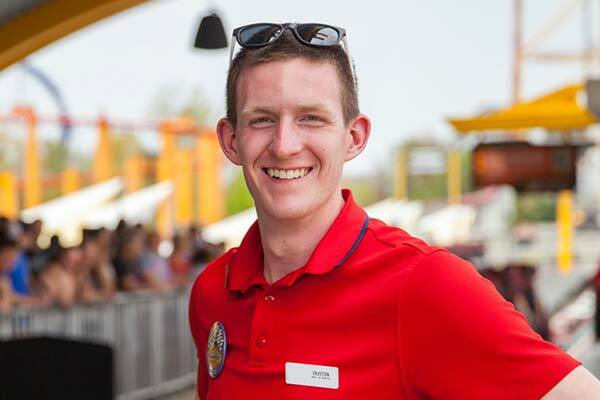 Kings Dominion has you covered to help celebrate every type of dad out there: from the dad who loves the adrenaline rush of the rides or the foodie who loves taking in each mouthwatering bite of delicious food! You’ve come to the right place! 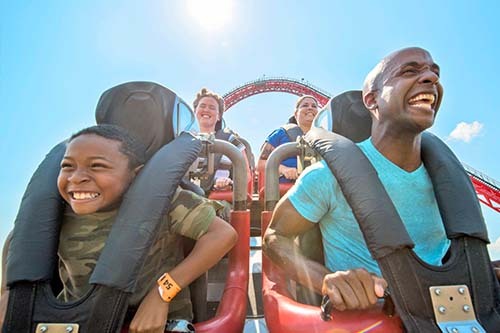 Your dad will love spending a day on all of our world class roller coasters including Twisted Timbers, Dominator, Intimidator-305 and of course the classics such as Anaconda and Grizzly! Your dad will thank you for a day filled with epic adventures! Bonus points if you can get him to free-fall on XTreme SkyFlyer. Who are we kidding...He's up for anything! 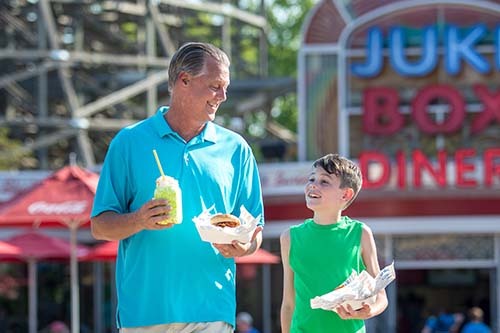 Treat Dad to lunch at the Juke Box Diner down in Candy Apple Grove. The new Twisted Timbers burger is here this season just in time for the dad who loves a food filled adventure. The burger includes cheddar cheese, BBQ sauce and an onion ring all on a fresh never frozen beef patty… Sounds like a foodie’s dream if you ask us. If your dad is extra special, you can even treat him to a Green Apple Signature Milkshake after! Now try and convince us that your mouth isn’t watering already. 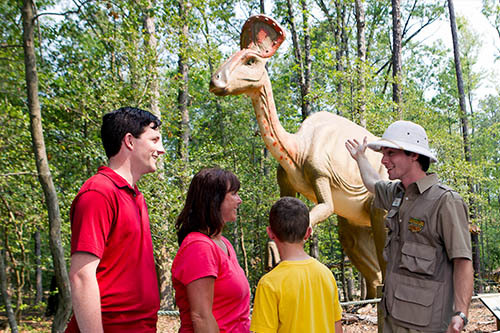 Visit Dinosaurs Alive! for a fun and interactive way to take a journey to a time now extinct. Don’t worry dads—this isn’t just for your kids! You’ll be able to interact with a Tyrannosaurus Rex, dig up fossils and learn all about the latest scientific ideas. Want to make your dad feel like a VIP? 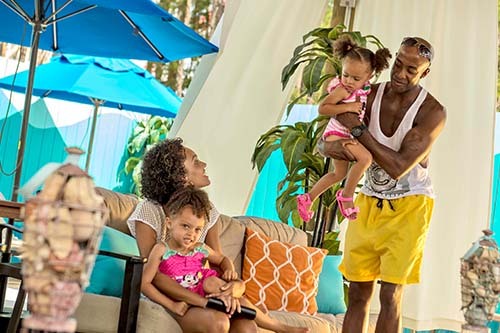 What better way to celebrate him than to let him chill out in one of our Cabanas in Soak City while you play nearby in the wave pool? Dad can lounge by the pool all day while soaking up the sun in style this Father’s Day. It’s a win-win for all! Be sure to check out our live entertainment and treat dad to one of our 9 shows this summer. Looking for a show that's perfect for everyone in the family? Origins: A Cirque Experience is just what you all will want to see and starts June 16. Prepare to be mesmerized by the acrobatic performances featuring an incredible showcase of strength, balance and athleticism. Get ready to help pick your dad's jaw up from the floor! Is your dad more of a musical-buff? Make sure you all close out the night by the International Street Bandstand for Sunset Party Mix and dance along to our contagious beats along with our powerhouse performers! What do you get for a Dad who already has everything? The gift of adventure! 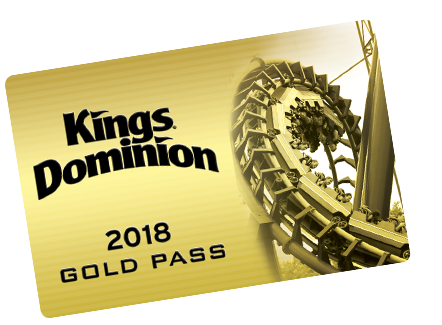 Give dad a Season Pass this season so you all can celebrate every day at Kings Dominion and Soak City! Then, come back in the Fall for Halloween Haunt and put his fears to the test. 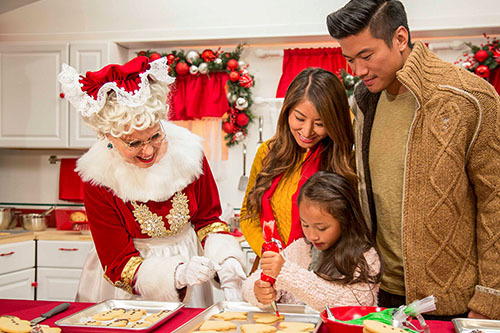 Come November, you and your family can create a new holiday tradion at WinterFest! 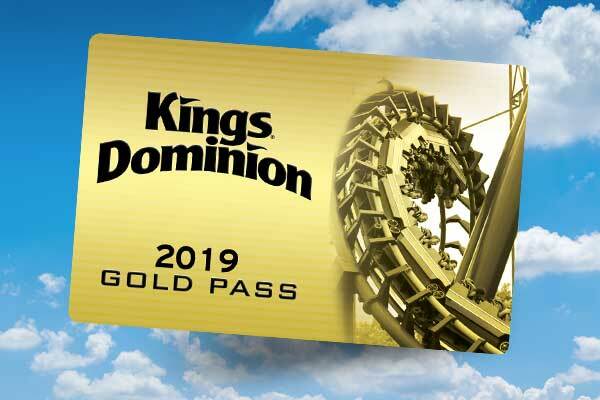 Already have season passes? 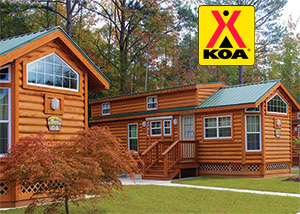 Make this Father's Day weekend a big celebration with our Father's Day Bring-A-Friend discounts. 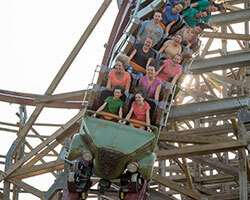 Passholders can get up to 6 tickets for just $21 to use June 15-17. To all the dads out there—may your Father’s Day be better than any dad joke!